Currently writing a libretto for the Welsh National Opera, a venerable British institution, and a book of short stories to be published by HarperCollins in 2019, Shreya Sen-Handley was a journalist and television producer for international channels such as CNBC and MTV, as well as Bureau Chief for News International’s Channel [V] in East India. After which, she was a senior communications manager for a decade, sitting on the area management board of one of the UK’s largest companies. On her return from her sabbatical to raise her family, she went back to journalism, writing for The Guardian, The National Geographic, The Hindu, Times of India, Hindustan Times, Nottingham Post, The Statesman, Daily Mail, and more. Her CNN-IBN column proved exceptionally popular, prompting HarperCollins to commission Shreya to write her memoir based on the column, and ‘Memoirs of My Body’ was born in 2017. Selected as a Best Read of 2017 by the UNESCO Cities of Literature, and winner of Best Non-fiction Book of the Year at the NWS Writing Awards 2018, Memoirs of My Body has also been a WH Smith bestseller in India. 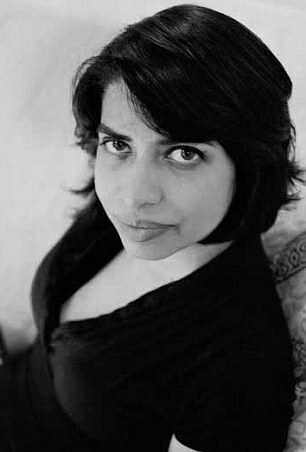 Her short fiction and illustrations have been published around the world too, by Five Leaves UK, Lucifer Press UK, Leftlion UK, Australia’s Transportation Press, Hachette and HarperCollins India, with a whole book of her short stories to be published next year by HarperCollins. Her short story “Nimmi’s Wall” featured in Nottingham’s successful UNESCO City of Literature bid book of seven select short stories, representing the best in the city. As Nottingham’s UNESCO City of Literature Ambassador, she was part of the team that won the coveted status for the city in December 2015, and is a member of their current collaborative board. Besides which, Shreya teaches creative writing for a wide range of organisations including the Universities of Cambridge and Nottingham. She was a director of the Nottingham Festival of Literature, and is a governor of schools in the city. She is also a regular commentator on current affairs for the BBC, Notts TV, and other media. For her range of writing, she won the Most Versatile Writer award at NWS Writing Awards 2018, and was a part of the much-awarded ‘Amul India Show’ on Star TV. The milestone opera Shreya is now writing with an award-winning team for the Welsh National Opera will tour Britain’s biggest cities in 2020.